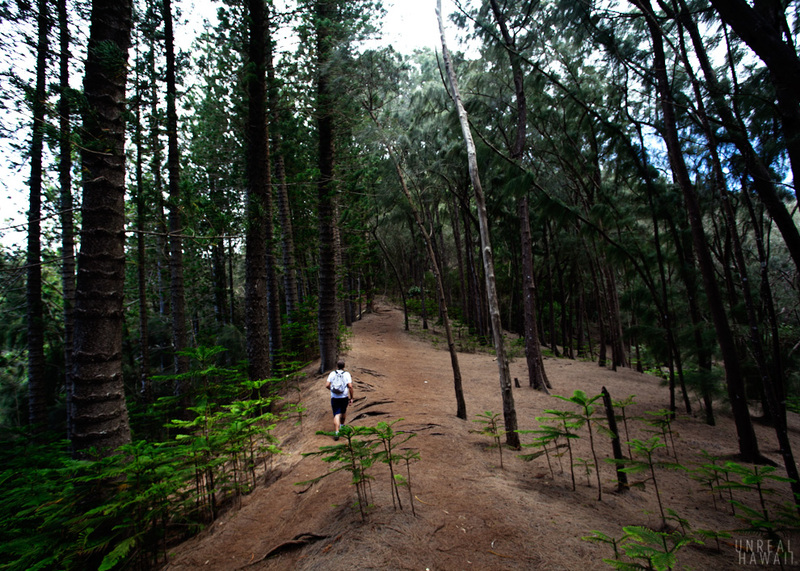 This trail takes you through a forest that feels nothing like Hawaii. 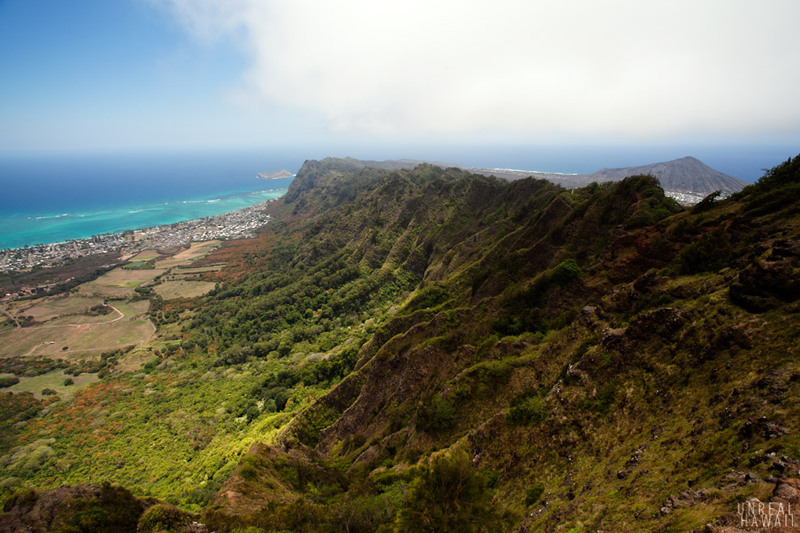 You’ll hike along the ridge that overlooks Kuliouou Valley. 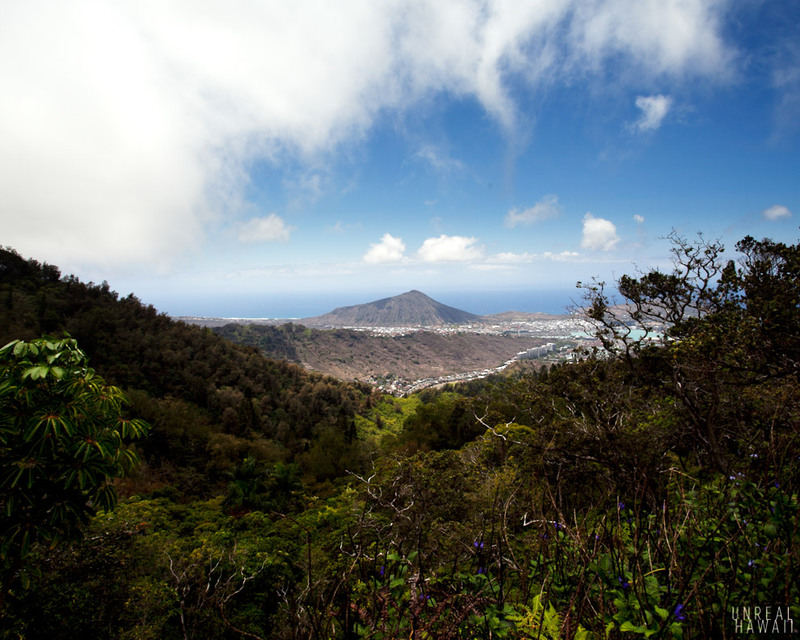 After just a few hours of hiking, you’ll be at the summit and treated to awesome views. 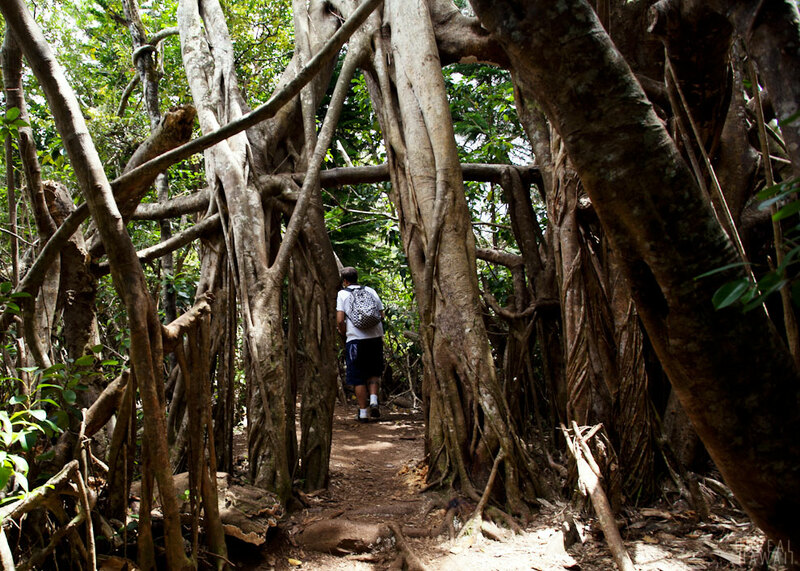 Hiking the Kuliouou Ridge Trail, Oahu, Hawaii. 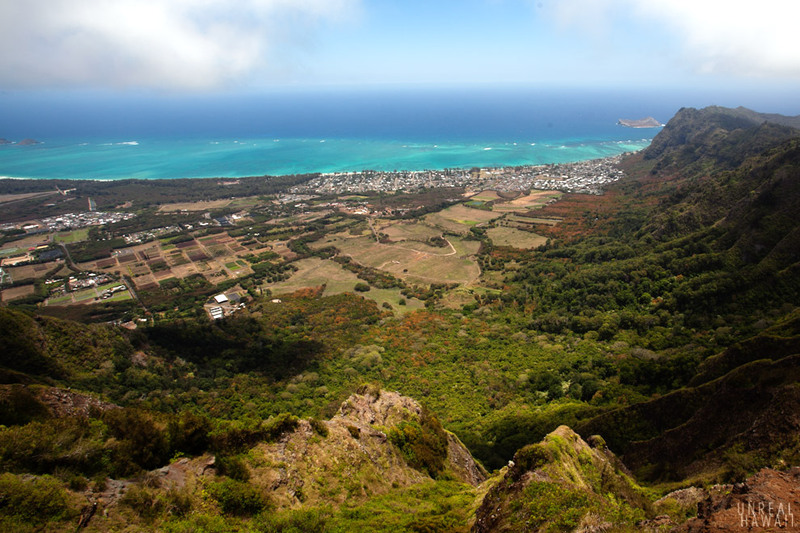 Of all the ridge hikes in this area (Aina Hina/Hawaii Kai) I like the view from the Kuliouou summit the best. 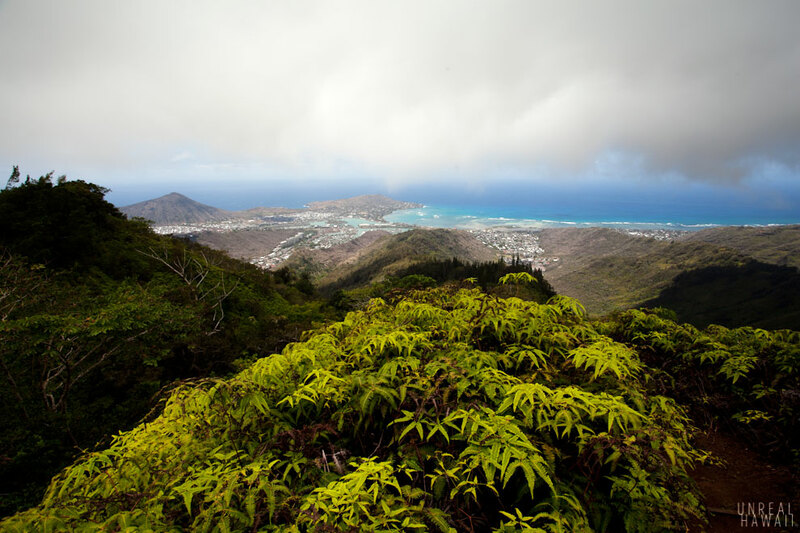 The Kuliouou Ridge Trail is still one of my favorite hikes on the island. 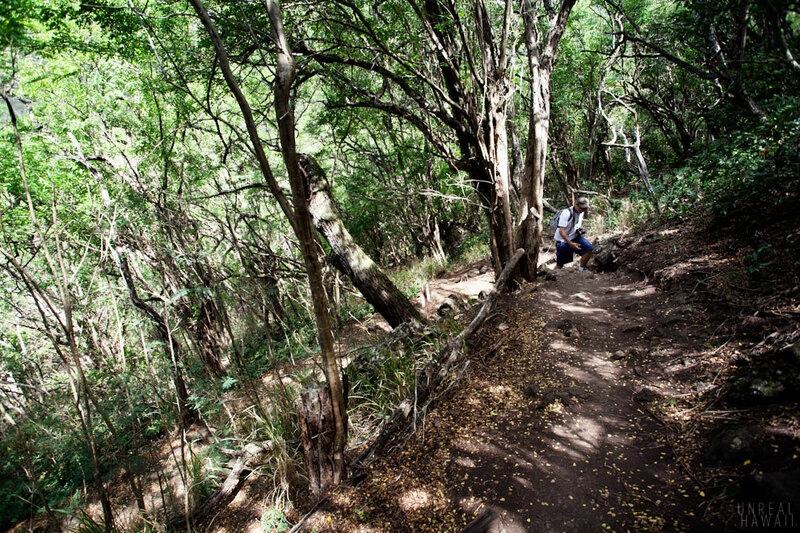 It’s the trail that first got me interested in hiking in Hawaii. 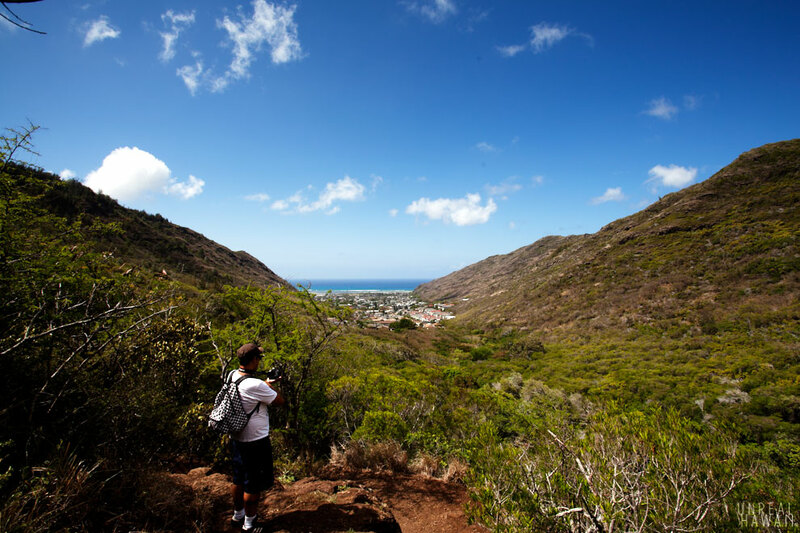 Now days, it’s the trail I recommend to new hikers or to friends visiting from the mainland. Going at an easy pace the entire hike will take about 4 hours and you’ll cover about 5 miles. Meet Fernando Pacheco. He’s the blogger and video producer behind Being808.com. Dude is a total renaissance man. Besides encouraging local folks to eat healthy and be active, Fernando hosts the morning radio show on KPOI, performs standup and sketch comedy, and is the lead singer for the local ska band Pimpbot. He was also a member of the popular Hawaiian ska band Go Jimmy Go. 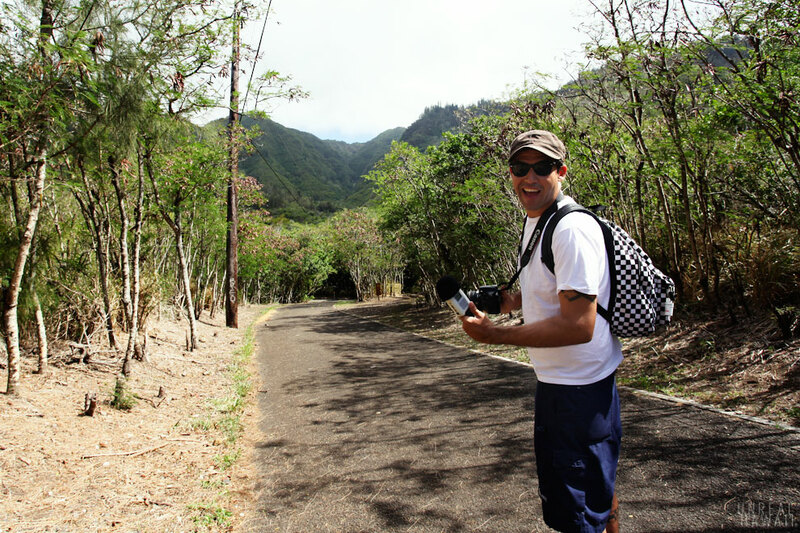 Needless to say, Fernando is a pretty fun guy to talk to and hike with. 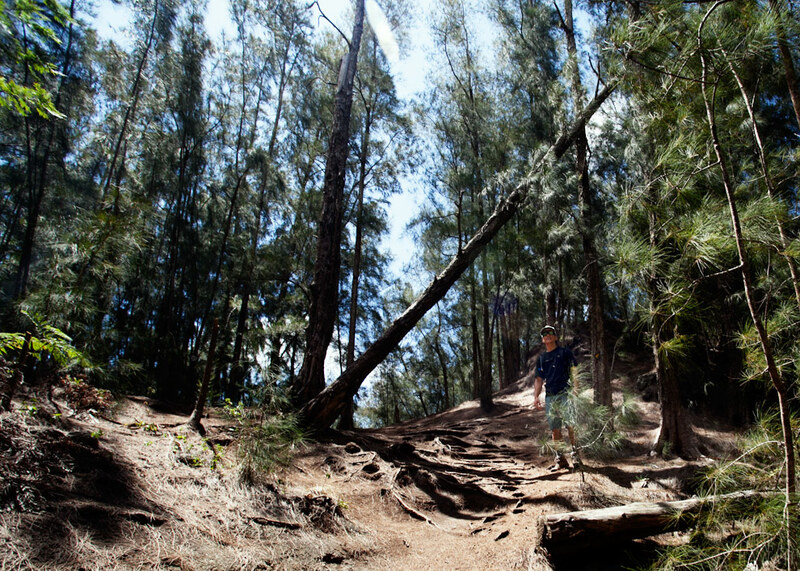 The Kuliouou Ridge Trail starts at the end of Kalaau Road. Make sure you look for this sign as there are two trails back here. If you follow the paved road you’ll end up on the valley trail, not the ridge trail. So, take a right at this fork. Now you’re off into the woods. 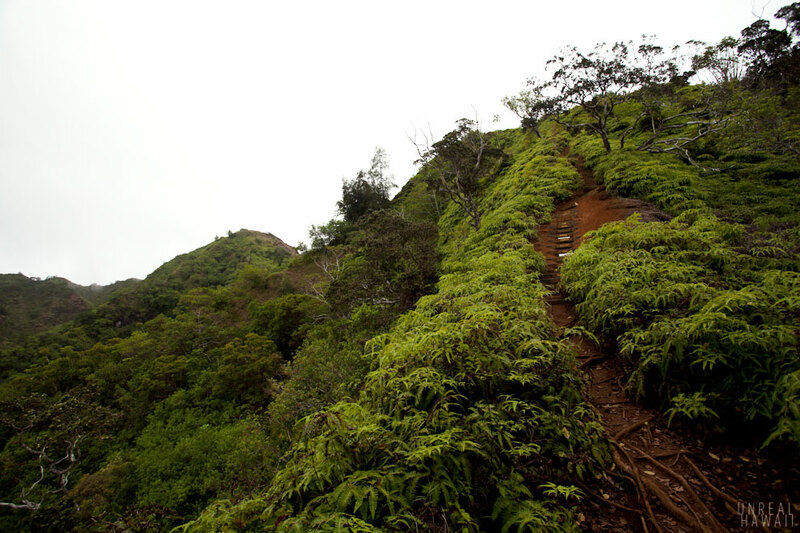 The trail is a series of switchbacks that zigzag up to the ridgeline. Every time there’s a clearing you are treated to a nice view of the ocean. Looking ahead you can see into the valley. Did I mention Fernando is in a ska band? 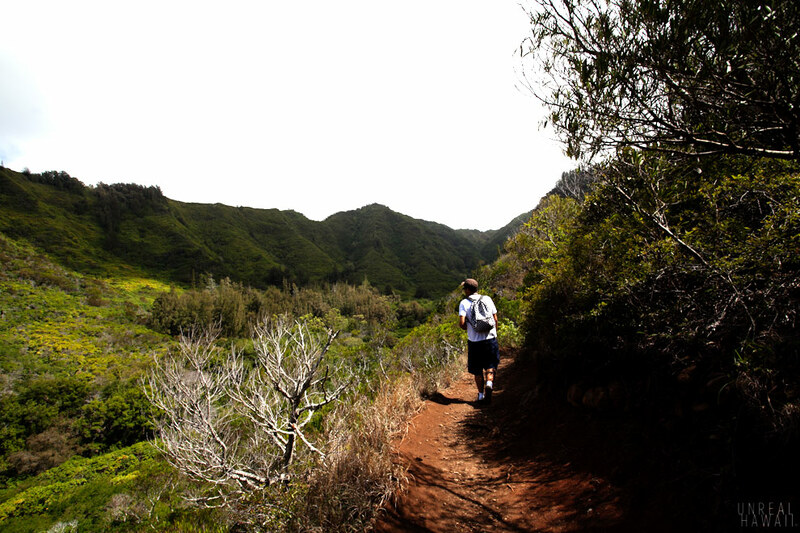 What I love about the Kuliouou Ridge Trail is how the environment keeps changing along the way. 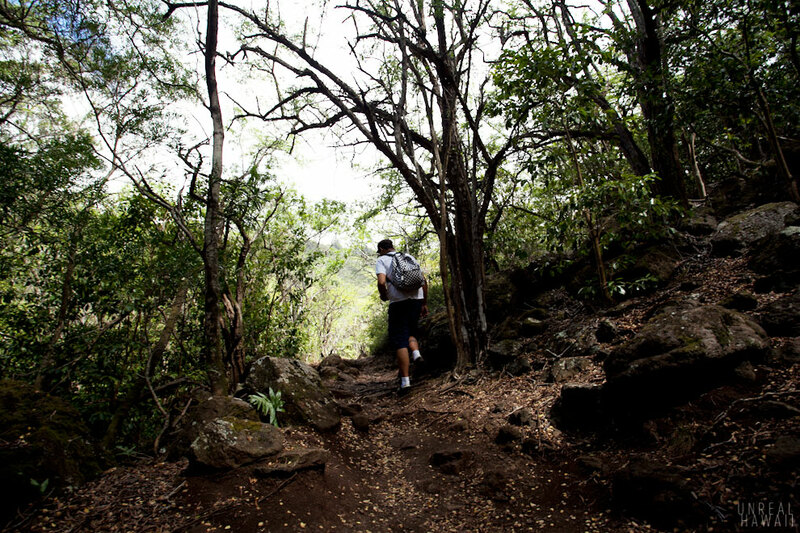 Pay attention as you hike up the switchbacks. The turns are not always well defined. 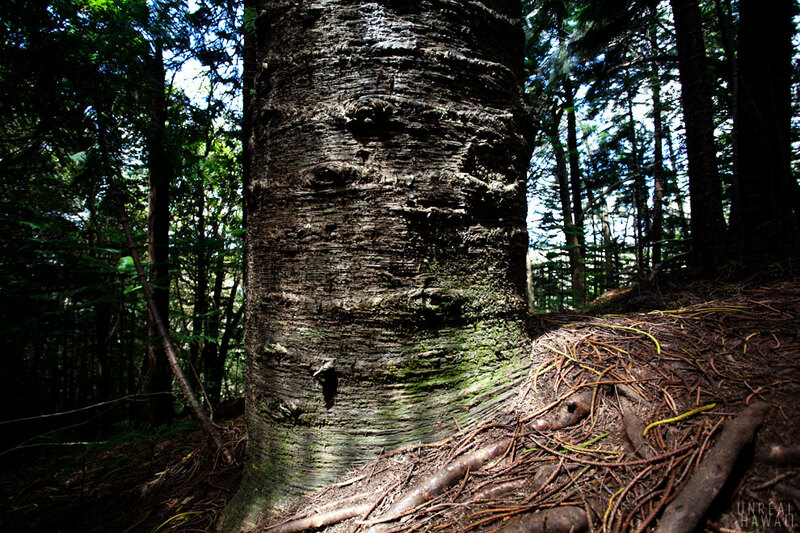 If you miss a turn, you might find yourself in tangle of trees and off trail. 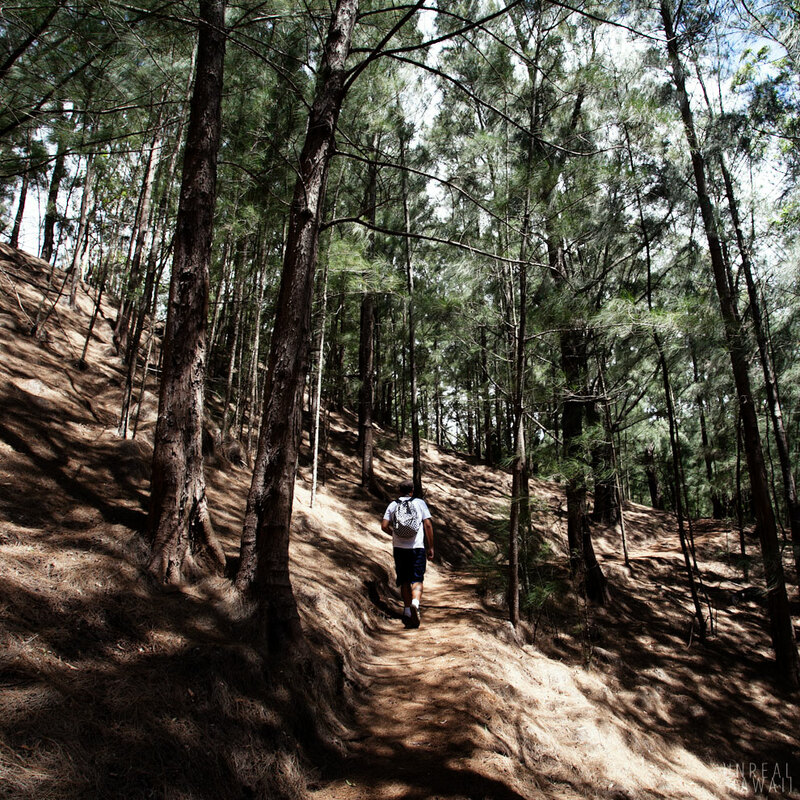 This trail gets hiked frequently so if you find that you’re not on a beaten path, you might want to turn around and find the trail. These parts of the trail remind me of hikes of been on in San Diego. These pine trees are huge. There’s a section of the trail that is always super windy. It’ll be refreshing. 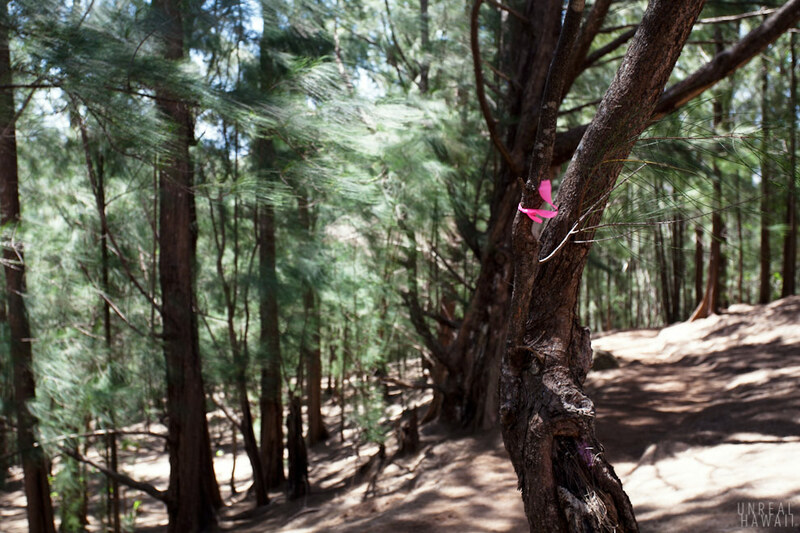 Make sure you look for trail ribbons here. 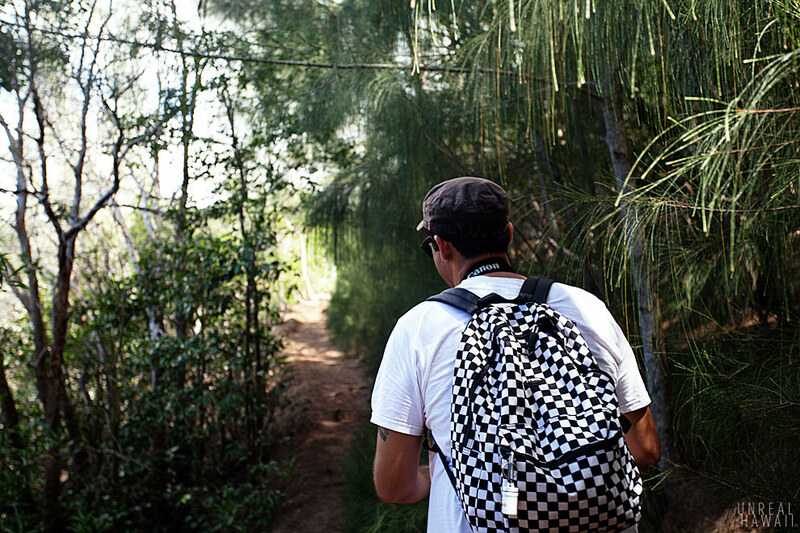 The path is not completely obvious and it would be easy to venture off in the wrong direction. 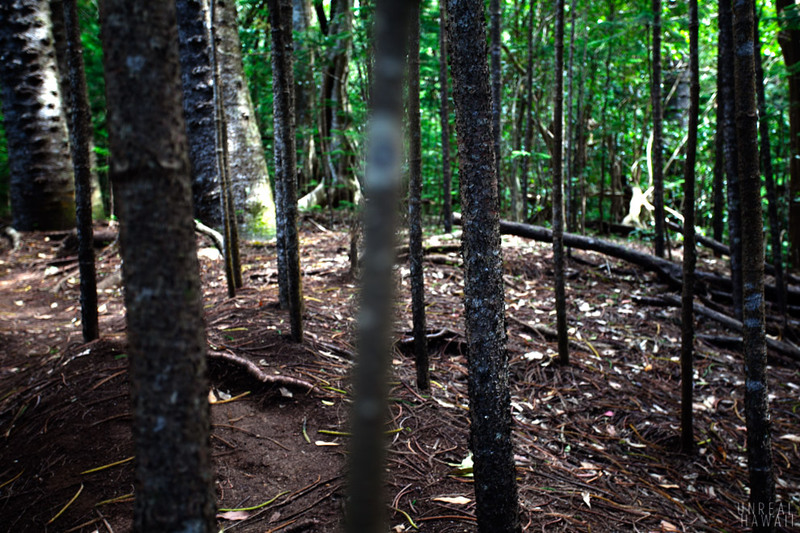 The trail will weave through some young trees. Then past some older ones. 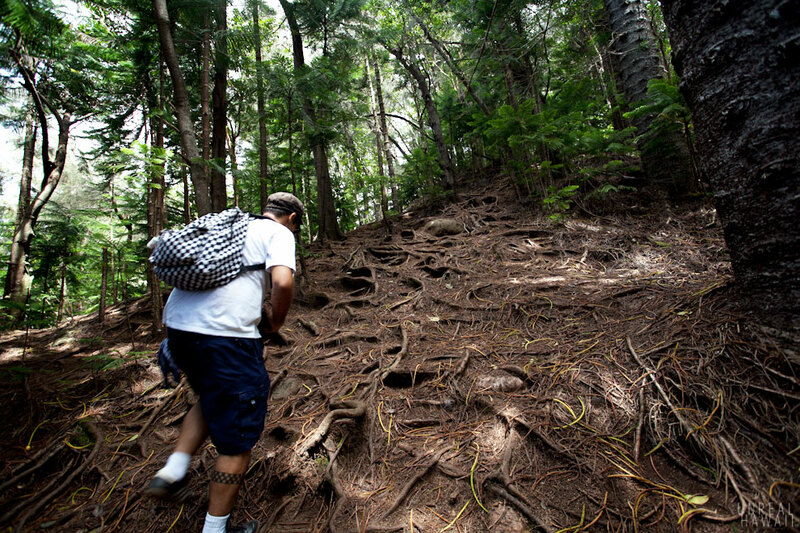 This incline used to be a struggle when I first started hiking. This time, it wasn’t so bad. These trees form a natural arch. Towards the top of the ridge your environment changes to what I used to call “Narina.” Now, I realize this is what Hawaii vegetation normally looks like. 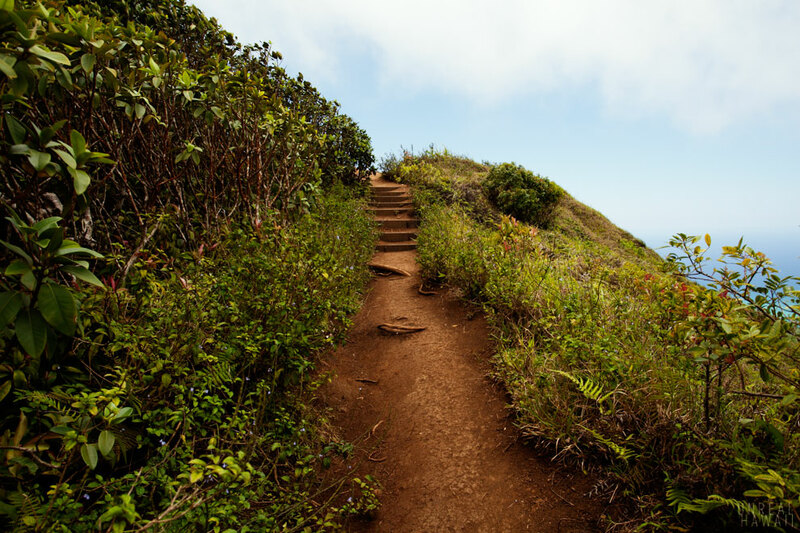 When you come across these routes, the steep part of the trail is about to begin. 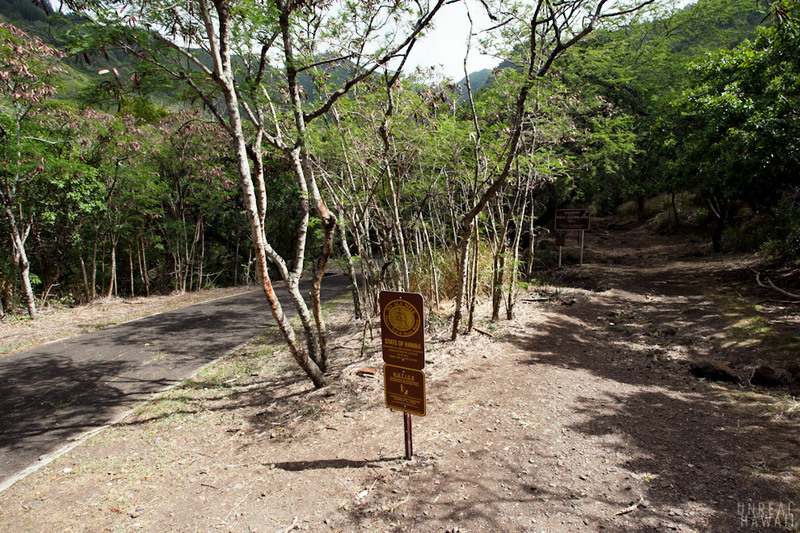 Being that this trail gets maintained by Hawaii’s Na Ala Hele program and the Sierra Club, there are steps placed here. 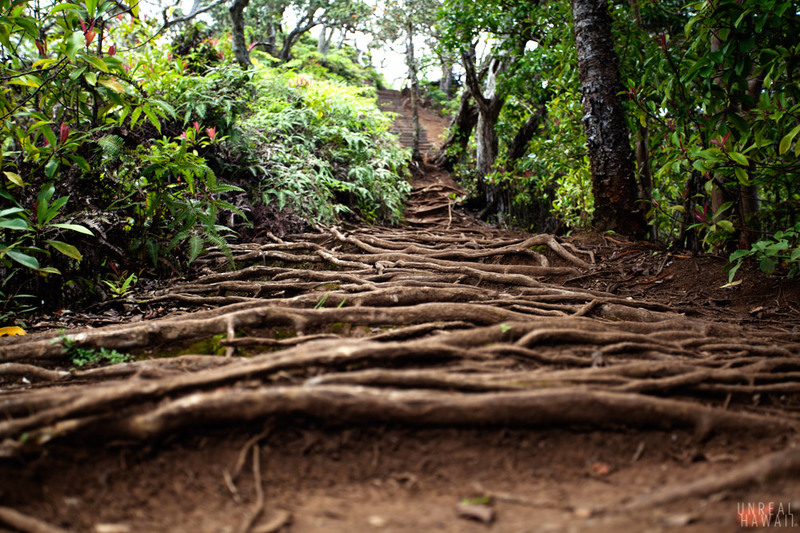 They help slow erosion and make for safer hiking. 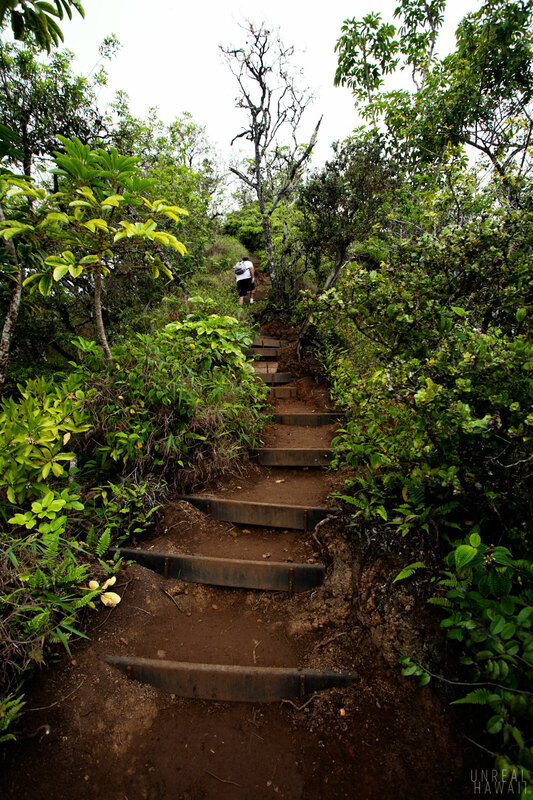 The final push to the summit involves hiking up yet another set of steep stairs. 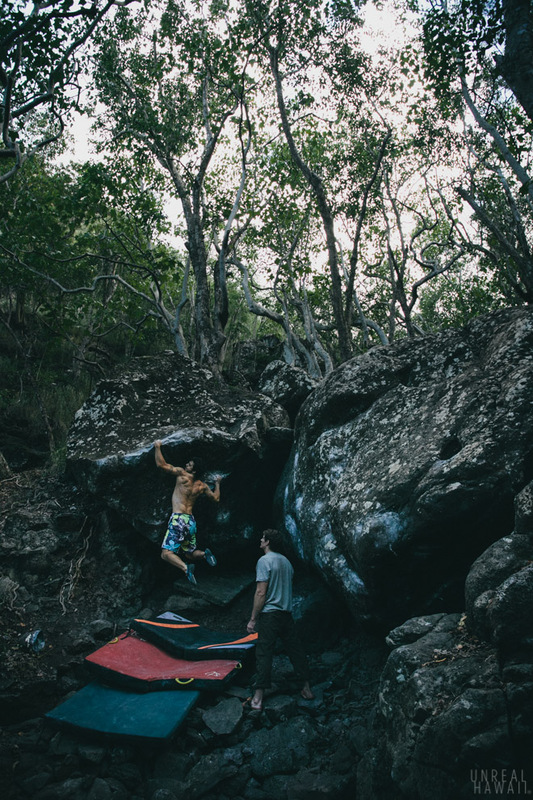 For new hikers, this can burn your buns but it’ll be worth it. At the top the ridge, if you turn around, you’ll see a nice panorama of Hawaii Kai. Walk a few more feet, then up these steps and you’ll be at the end of the trail. 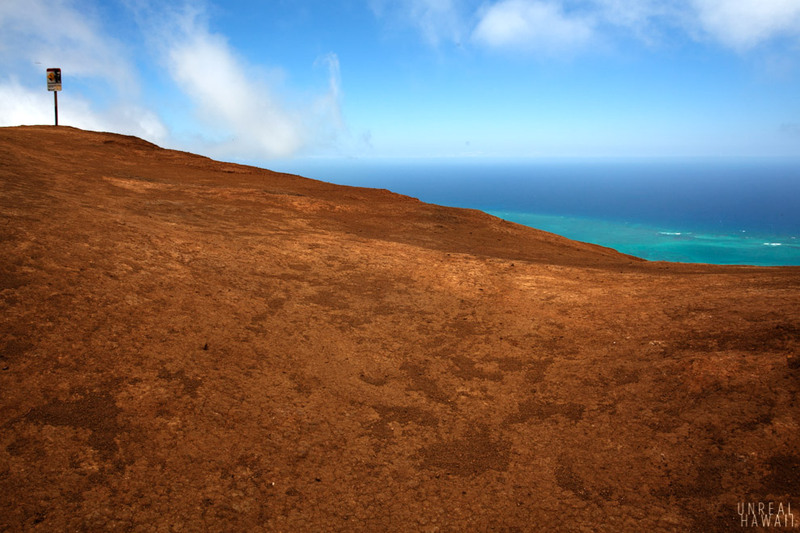 That sign marks the end of the Kuliouou Ridge Trail. 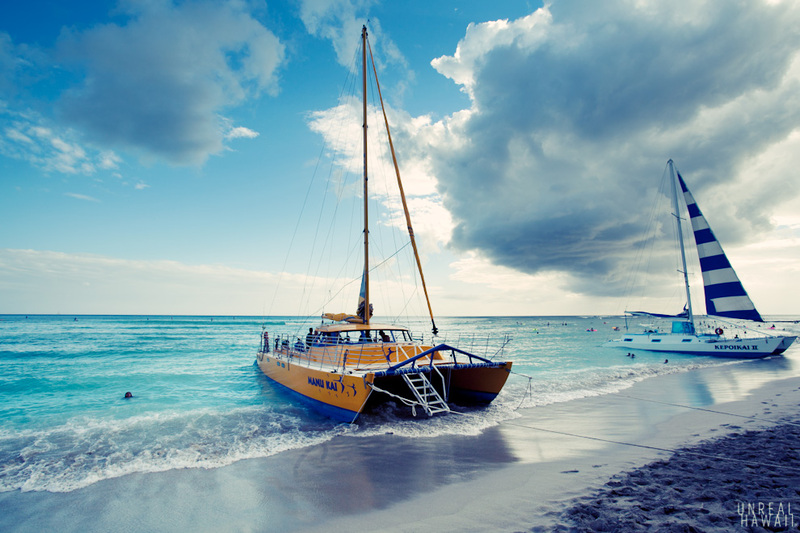 You’ll feel a strong breeze in your face. 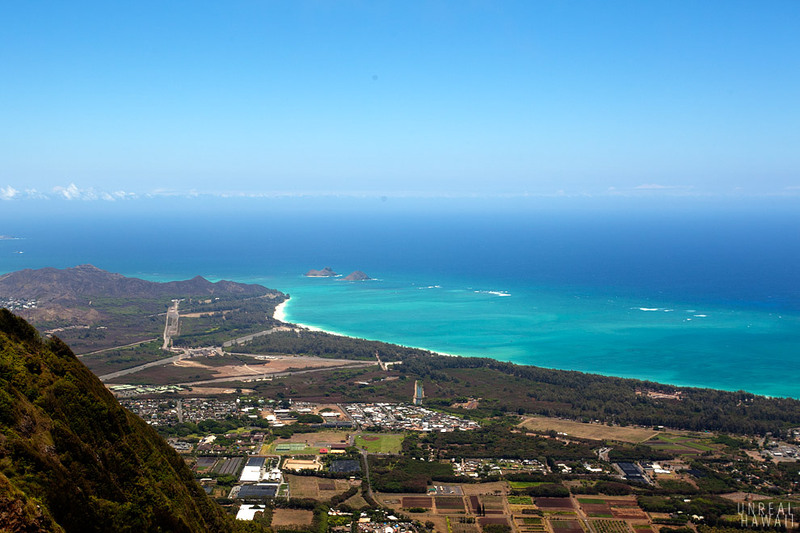 Look to your left and you’ll see the Mokuluas off of Kailua. 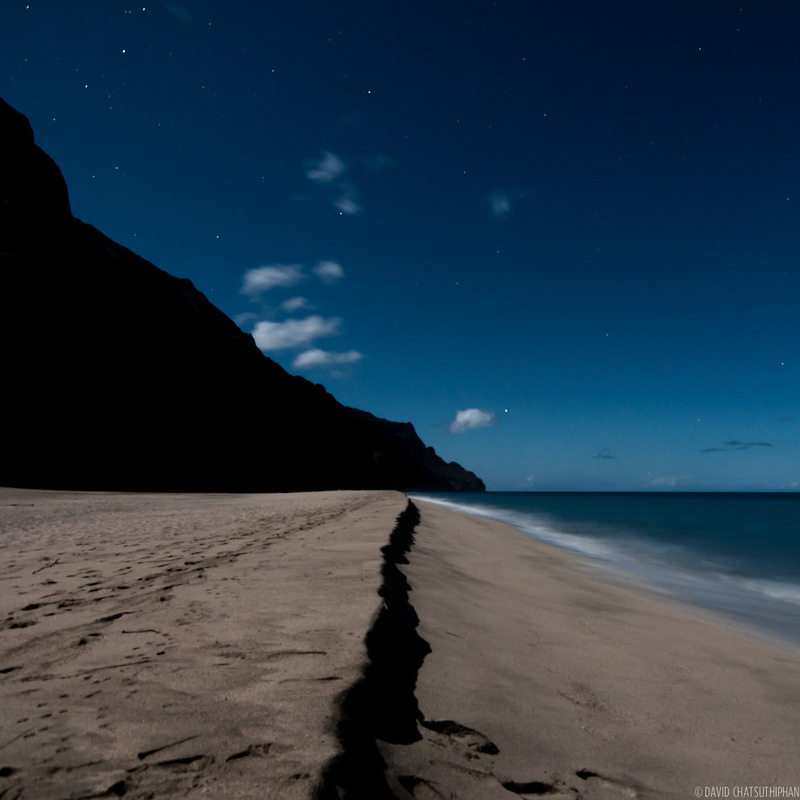 Look straight ahead to see Waimanalo. 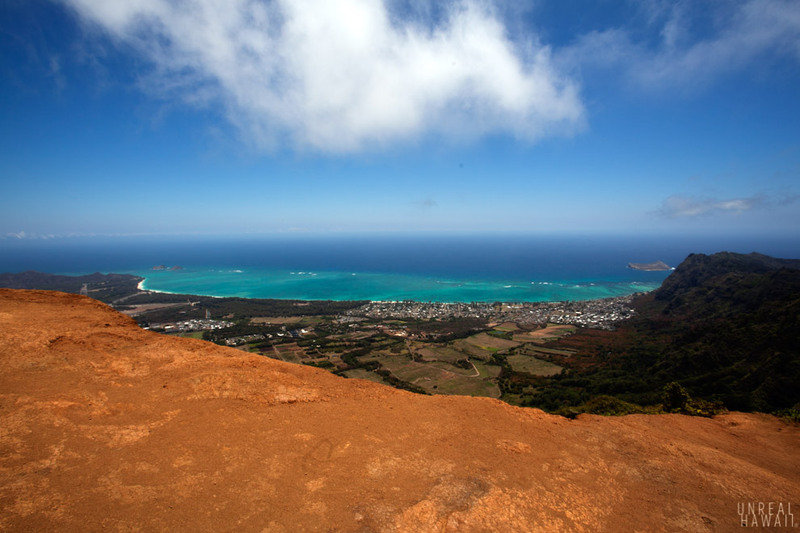 Look right to see the southeast tip of the Koolau summit, Rabbit Island and Koko Head Crater. 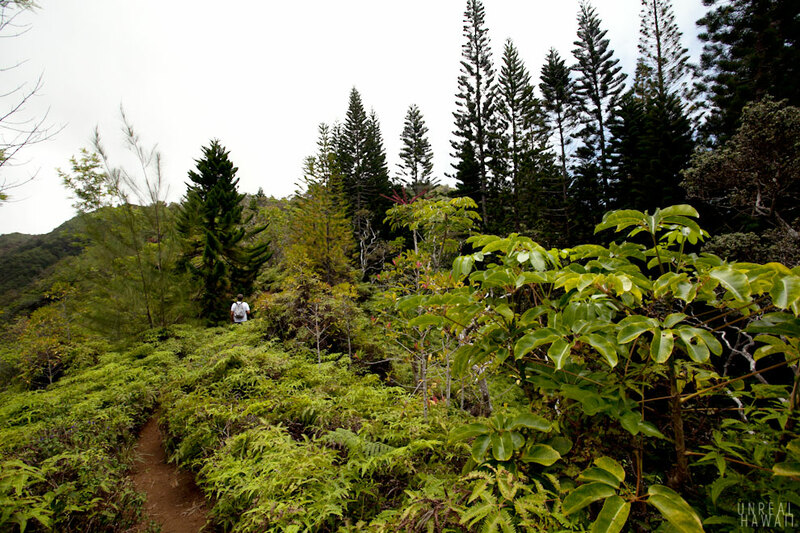 The Many Environments of the Kuliouou Ridge Trail by Being808. Checkout the Being808 page on Facebook. 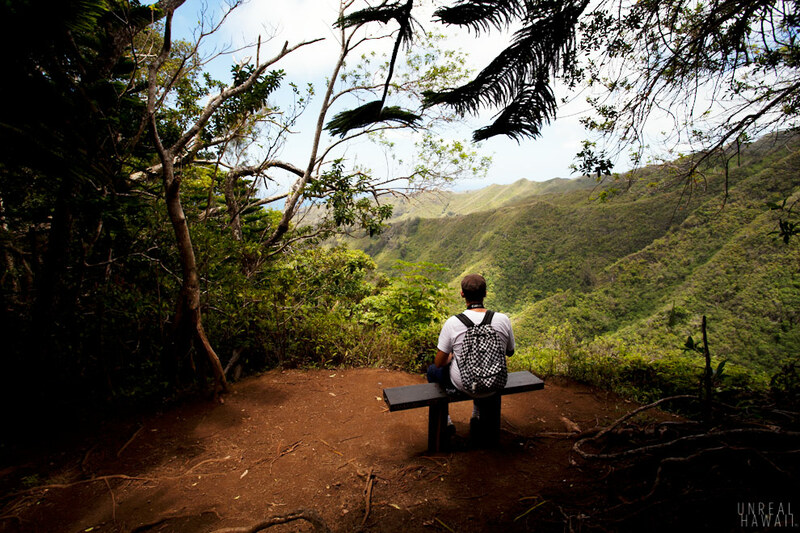 My original post on the Kuliouou Ridge Trail. 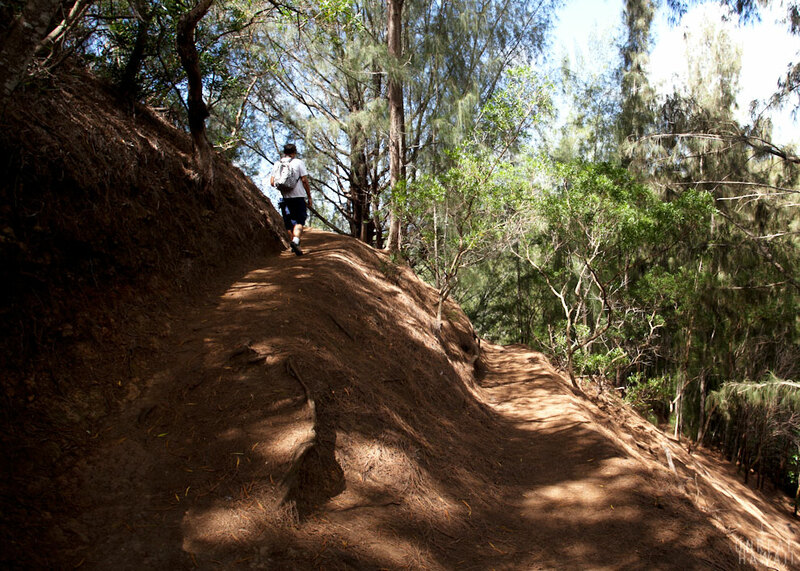 Official page for the trail on the Hawaii Trails website. 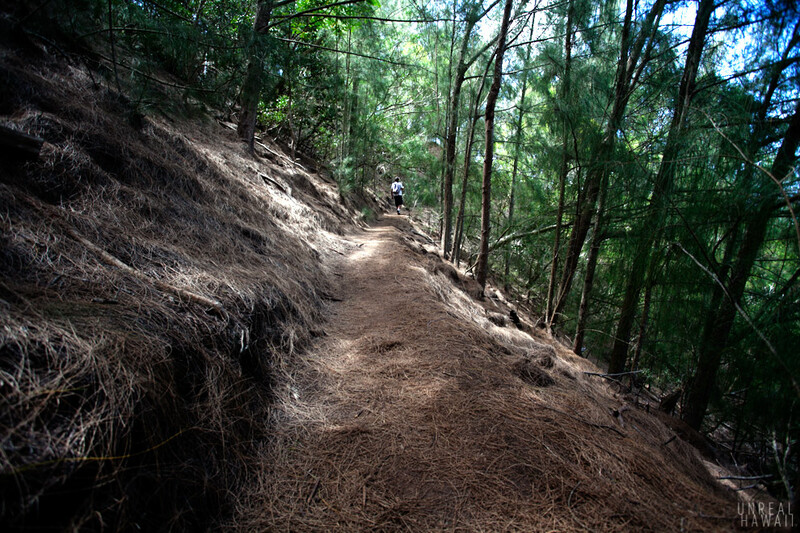 Kuliouou Ridge Trail on Yelp.